15 Apr 2018 / 13:59 H.
GUATEMALA CITY: Guatemalan voters are being called out Sunday to decide whether the International Court of Justice (ICJ) should rule on a border dispute with neighbouring Belize that goes back more than 200 years. The long-running disagreement has seen tensions spike from time to time, such as two years ago when Guatemala mobilized 3,000 troops along the densely wooded unmarked border zone after a Guatemalan teen was fatally shot there after a Belize border patrol came under fire. An investigation by the Organization of American States ended up finding that the Belize patrol was not responsible for the death. The referendum was agreed under a 2008 accord to send the dispute to The Hague-based ICJ, if the populations of Guatemala and Belize approved. Belize has not yet fixed a date for its referendum on the issue, although officials say it could take place next year. 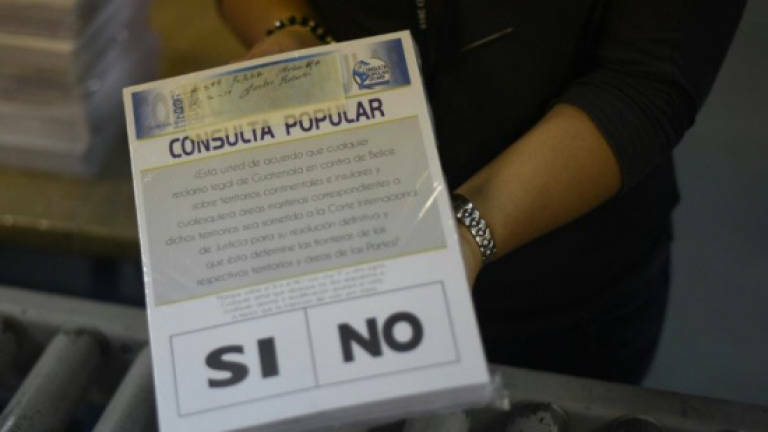 The Guatemalan plebiscite question asks voters to respond "yes" or "no" as to whether any legal claims by Guatemala against Belize relating to its territories "should be submitted to the International Court of Justice for final settlement" and boundary determination. The country has an electorate of 7.5 million people, but analysts believe turnout could be as low as 10%. The head of Guatemala's Supreme Electoral Tribunal, Maria Eugenia Mijangos, told reporters that voter apathy was a big risk. Efforts by Guatemalan President Jimmy Morales to boost turnout have foundered on the rocks of his low popularity. Guatemala has made claims over more than half of Belize's territory, dating to when its English-speaking neighbour was a British colony known as British Honduras. The border issue goes back to 1783 when Spain, the former colonial power over what is now Guatemala, gave Britain the right to occupy future Belize and exploit its timber in exchange for combating piracy. A century later, it became a British colony. In 1964, British Honduras won the right to self-government, then in 1973 renamed itself Belize.